We've come to the first Friday in June, and it's likely you've got a wedding to attend in the coming weeks! 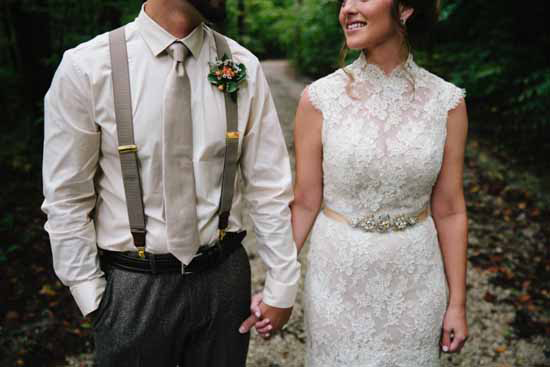 Let's get inspired by June brides. The tradition of having a June wedding actually dates back to Roman times when they celebrated Juno and Jupiter (the goddess of marriage and childbirth) on the first day of June. And apparently that tradition continued into the Victorian era because it was a time when flowers were readily available and those flowers masked body odor. Pretty fascinating, huh? 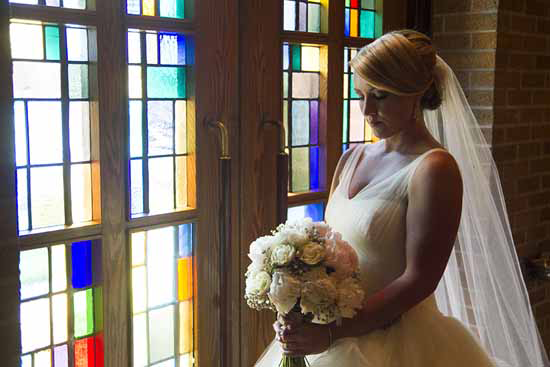 These days June weddings are often planned because of work and school schedules. 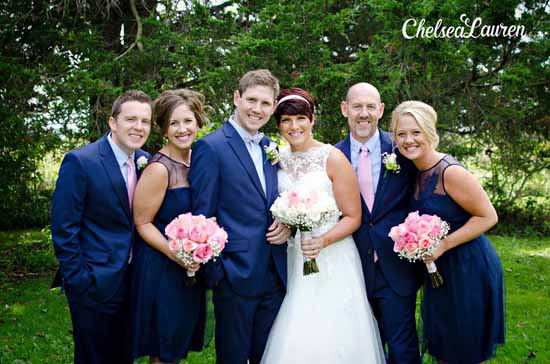 Weddings are such happy occasions! 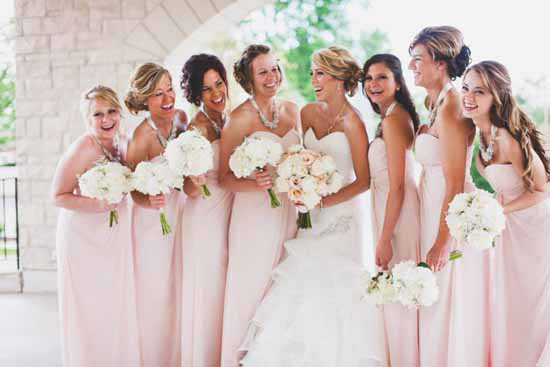 And it makes me even happier to see the smiling bride and her bridesmaids in the final photo. I taught three of them in junior high! 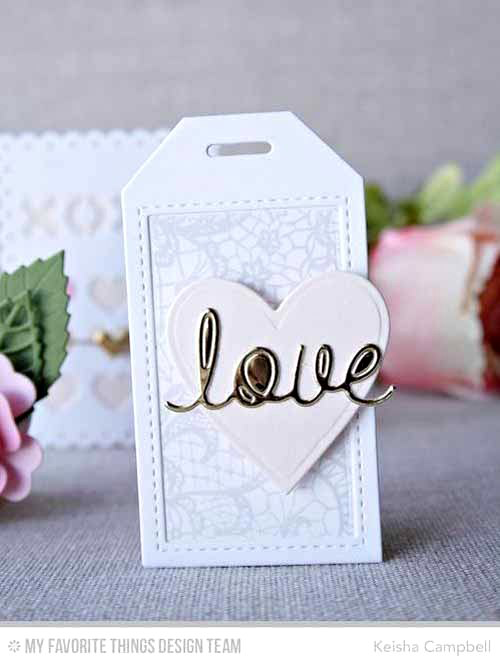 My Favorite Things has great products to make pretty wedding cards and tags. Let's take a look at some awesome projects that will inspire you to create with the bride and groom in mind! 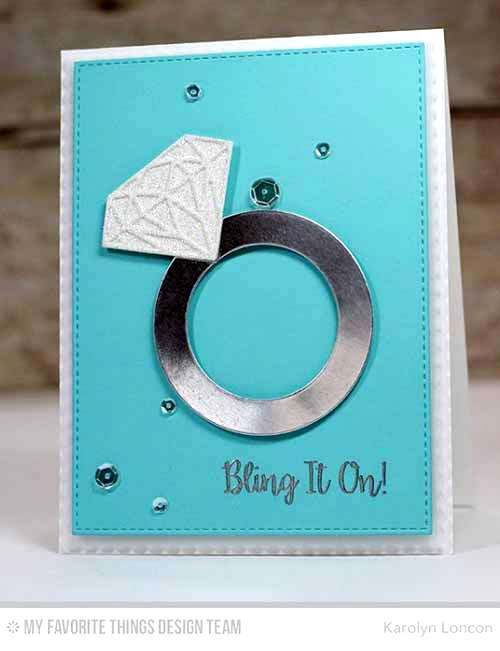 Karolyn proves that it's all about the ring with her cheeky and glittering wedding (or engagement) card. 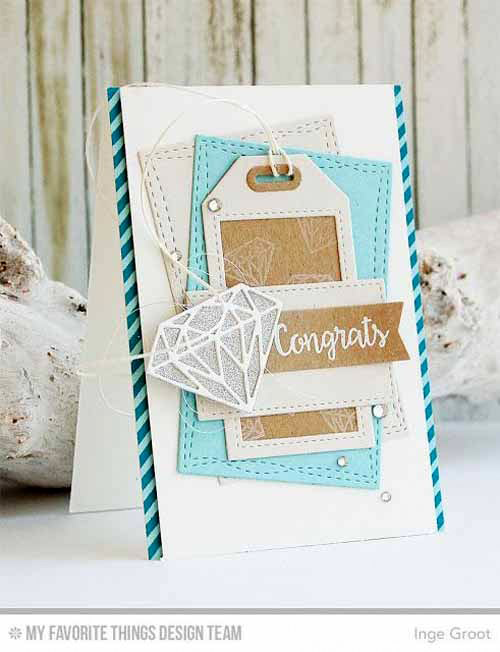 The Diamonds Die-namics and Bling it On stamp set are perfect for the modern bride. Sometimes your wedding gift deserves a pretty tag to decorate it. Keisha created this dreamy tag with the Tag Builder Blueprints 5 Die-namics. I especially love her use of the Lace Background stamp as the inset of the tag. LOVEly, indeed! Off white tone-on-tone cards with lots of texture are great for weddings. Susan used the Scribble Roses and Scribble Roses Overlay Die-namics with the Diagonal Sentiment Strip Cover-Up Die-namics with a simple sentiment and some coordinating sequins. The bride loved it! Karin's wedding card has a simple and homey sweetness to it. 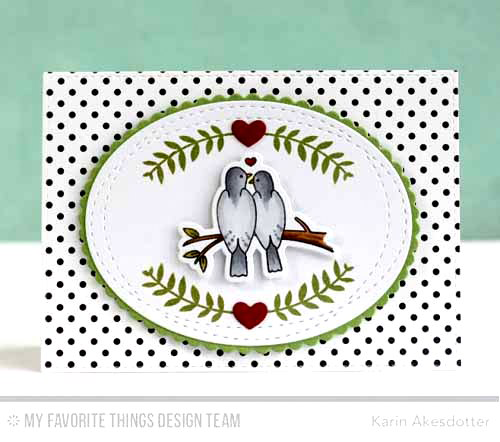 The birds from the All Heart stamp set paired with pretty stamping from the So Much Love stamp set make this a terrific design for the newlyweds. Inge's energetic design would be perfect for a modern couple with its delicious juxtaposition of kraft and bling. The Diamonds Die-namics certainly steals the show! 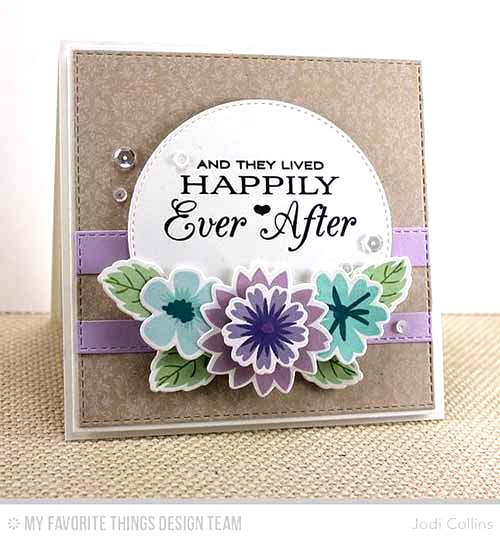 Jodi's card has a traditional feel with the pretty font, damask, and lovely floral bouquet. 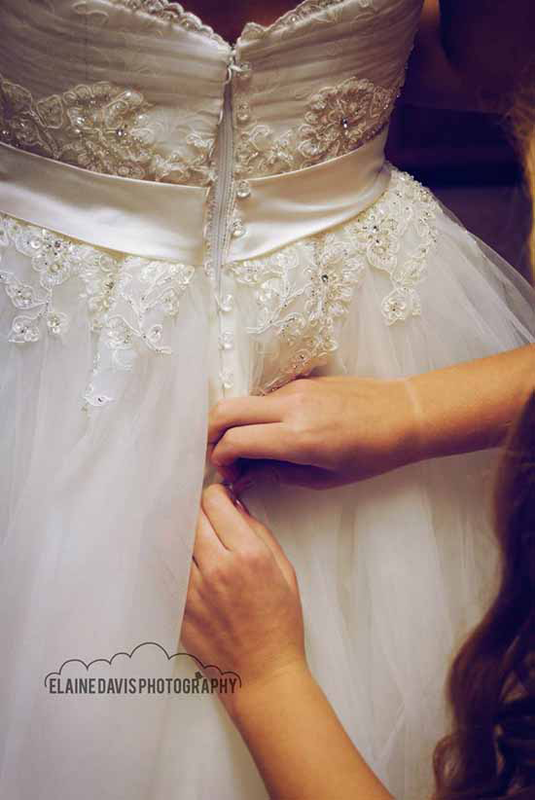 Take cues from the wedding invitation to figure out the style of the bride and groom. You might even be able to figure out the color scheme, too! 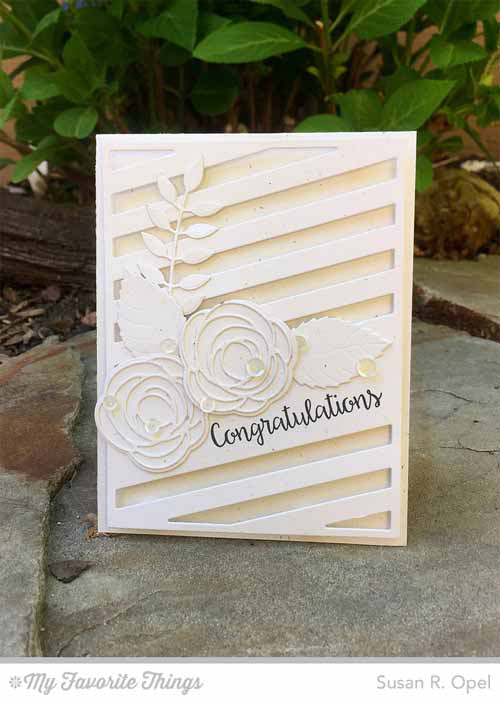 Before you go, take a look at a few of the wonderful things you can buy to create gorgeous wedding cards at the My Favorite Things online store! Simply click on the photo to be taken directly to the product. If the product is currently out of stock, you can sign up for an email notification once it's back in stock! Indeed white weddings look quite classy and pretty but personally I want to have a colorful wedding and searching for suitable Chicago wedding venues. I think a garden venue will be best choice for a colorful wedding.